My class just finished an investigation of a car, specifically a 2003 Buick Le Sabre Custom owned by one of my co-workers. It may sound funny to be so specific about what we were investigating, but it’s a very important part of the experience. 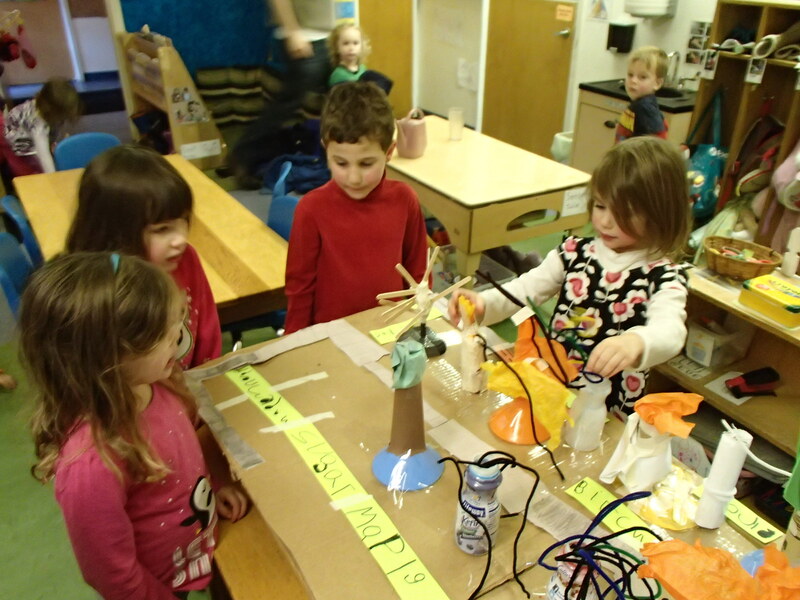 Our investigations are in-depth studies of something the preschoolers in my classroom are interested in. Each investigation lasts about 6 weeks. We usually only spend about 10 minutes a day on the topic. But the children start applying their new knowledge throughout the day. Sometimes they incorporate this knowledge into their pretend play. Sometimes they notice things in their daily life that they usually don’t notice. The investigation can go deeper if I focus on something specific. 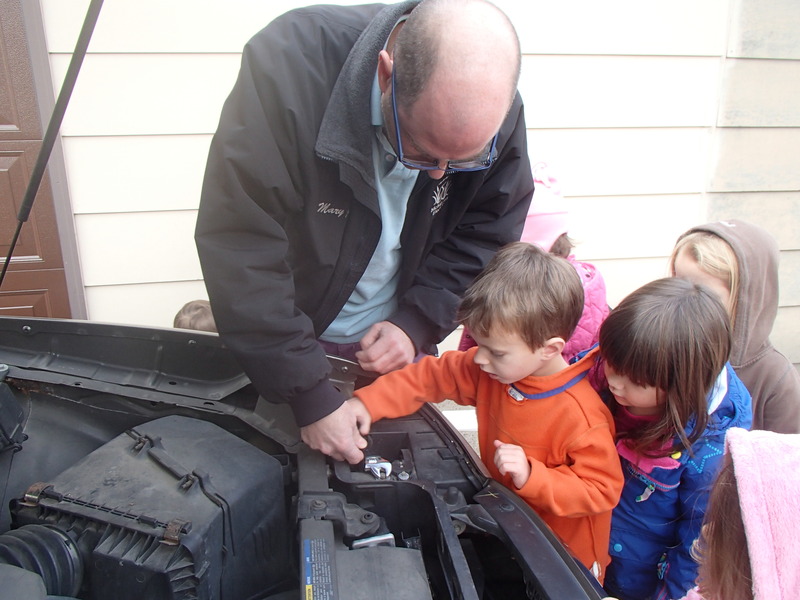 10 years ago I did a “car investigation.” As I look back on my documentation, the kids focused on the various colors cars came in. They categorized cars into minivans and cars. They also focused on the steering wheel and radio. where the kids drew details from the car. We checked and added oil. We added wiper fluid, and tested the wipers. 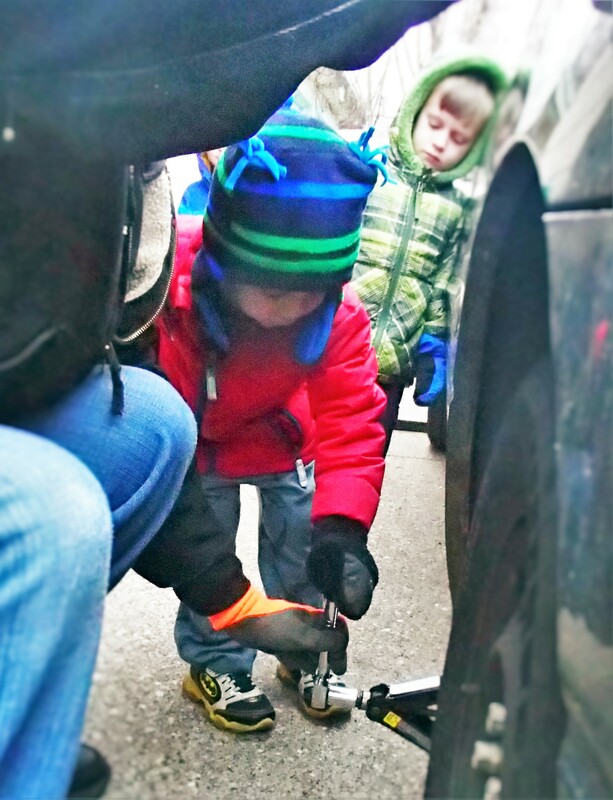 We tested the lights and changed a bulb on the turn signal. We jacked up the car and took off a wheel. We did another observational drawing at the end. One of the interesting changes that happened involved the dashboard. The first drawings had lots of circles for buttons scattered across a rectangle. The second drawing had a distinct radio, vents, controls for the air and the turn signal (with the control for the wipers). The children clearly had a broader knowledge of the car. 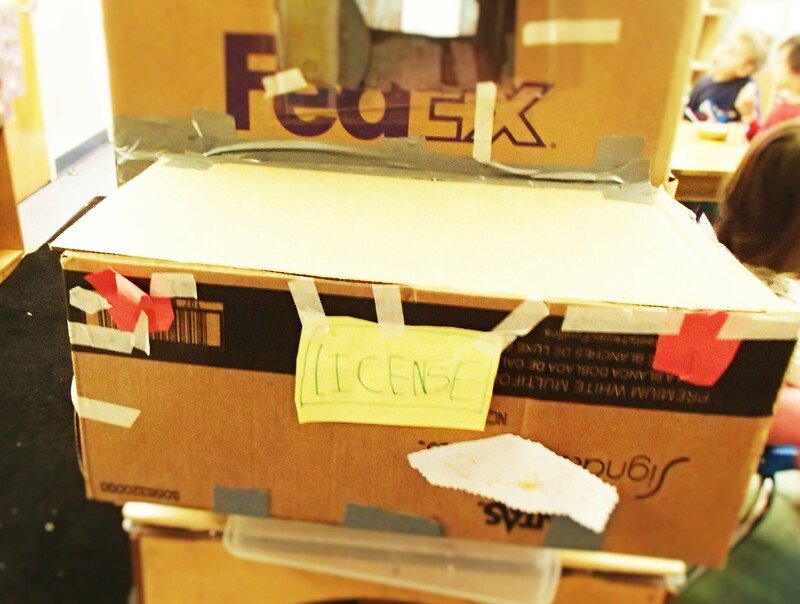 At the end of the investigation we made a Le Sabre out of cardboard. It was interesting to see the details that they chose to represent. We had the four wheels, but now the kids drew the hubcaps on the circles. They cut out yellow paper for headlights and red paper for the tail lights, and orange for the turn lights. Someone made a radio with buttons and lines (for the CD player). 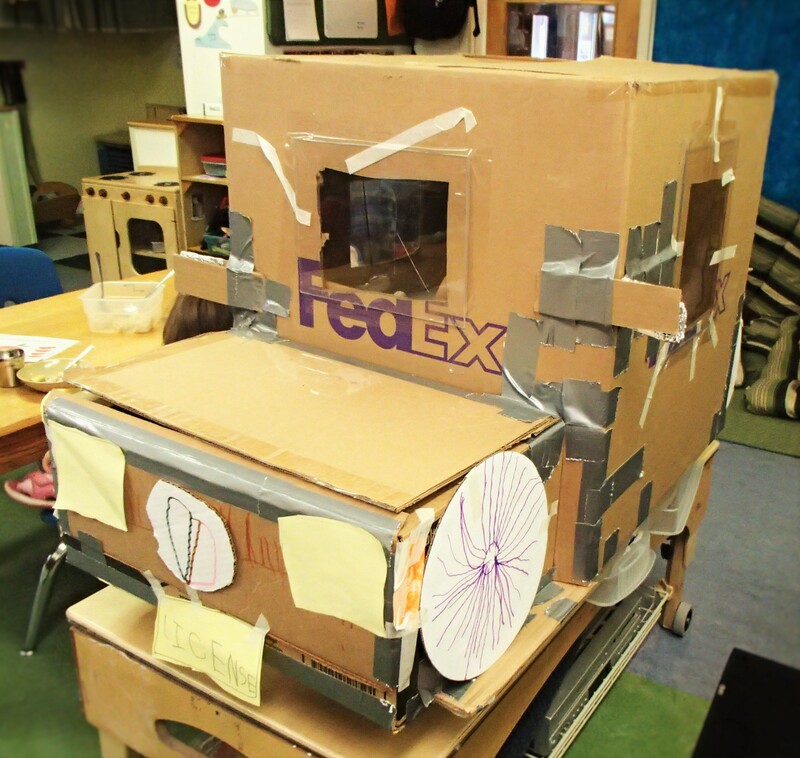 One child put a small box under the hood for the engine. 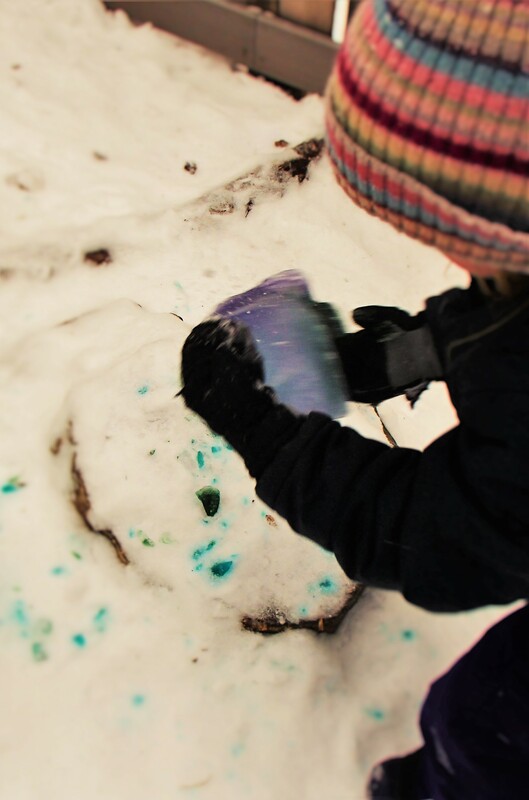 The next day, another child drew squiggles on paper and then copied “10W 30” from the photos of us adding oil. She taped the drawing of “oil” on top of the engine. My hope is that each investigation makes children take a closer look at something around them, something they see every day. During the investigation they look closer. They focus their attention, first on the subject of the investigation (the Le Sabre in this case), but then their attention focuses on their environment. They start noticing the control for the windshield wipers in their own car, for example. It starts with looking closely at one thing, but it allows them to see the whole world differently. Embracing rough and tumble play? Isn’t that the type of play I try to stop from happening in my classroom? I often talked about teaching to the whole child, meeting their needs in all learning domains: social-emotional, literacy, cognitive and physical development. But looking back, I ignored many of the children’s needs for physical development. I was failing to see a vital part of who these children were. 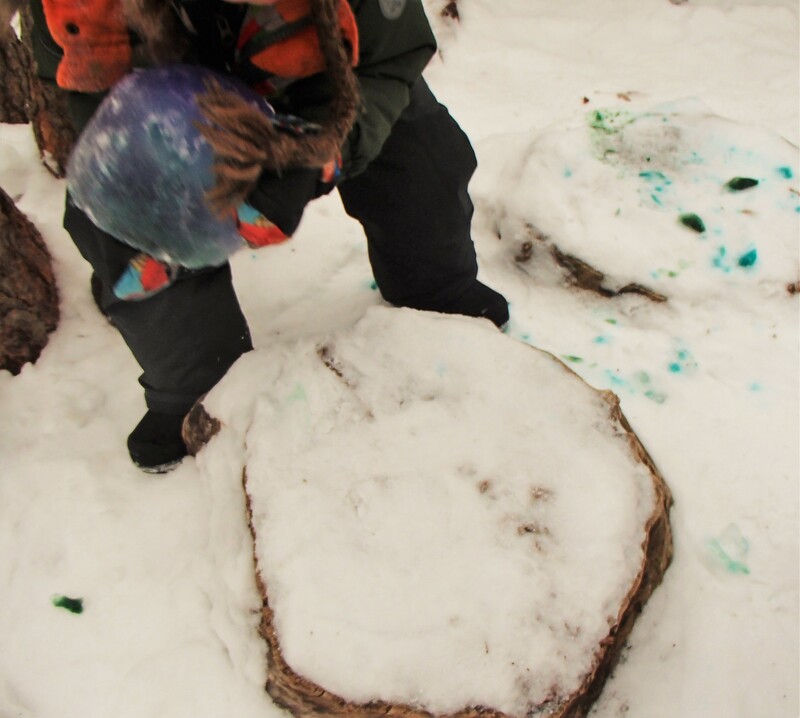 Rough and tumble play is the purest form of what it means to be a child. It is the two year old jumping up and down, waving their arms a up and down yelling, “Mommy! Mommy!” at the end of a school day. It is the four year old spinning and falling, and then spinning again. It is the time when children are so engrossed in the joys of movement that they lose all track of time. As we grow into adulthood, we see this same total immersion of the mind and body when a dancer executes a phrase with extreme focus and precision, or when a surgeon completes a complex procedure and saves a life. 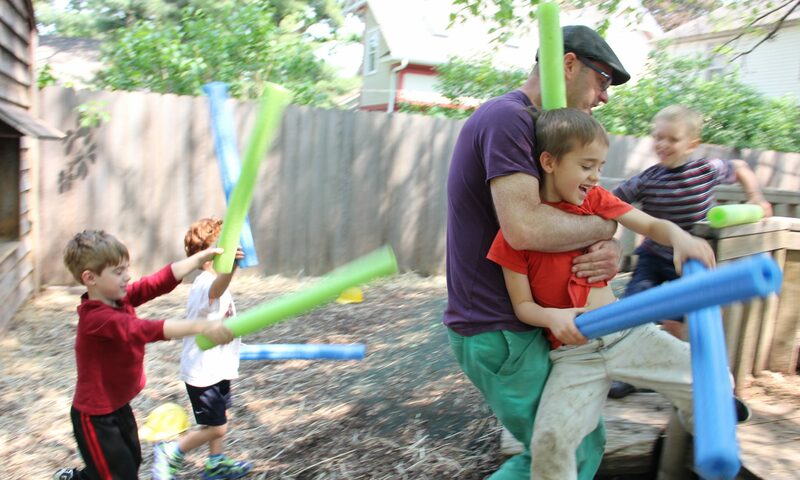 Sometimes this immersion in movement is as simple as tending to a garden, or rocking a child to sleep. With adults we call this flow, but with children it’s called childhood. 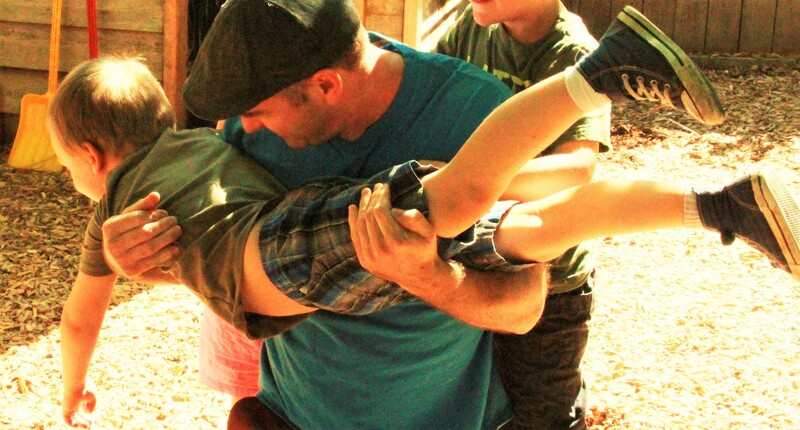 I embrace rough and tumble play because it is literally a type of embrace. 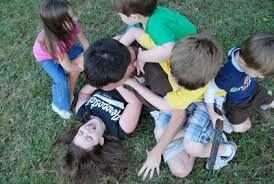 It is a way for children to show affection for another while also testing the limits of their own physical abilities. Children need tender affection such as cuddling and hugs, but children also need to be physical in a more vigorous way. So yes, I embrace rough and tumble play. I love the joy it brings when my class engages in it: roughhousing on the mat together, spinning endlessly, stomping, making themselves bigger and more powerful . I also embrace that peaceful calm they have when they (eventually) get tired and focus on a quieter activity such as building with Legos or Mobilos. I can’t tell you how many times I have had an adult come into my classroom and ask how I get preschoolers to sit so quiet and focused. If they had come into my classroom ten minutes earlier, they would have seen children roughhousing and laughing riotously. People also comment on how well the children get along in my classroom. Again, this happens because we play loudly and physically, not despite it. 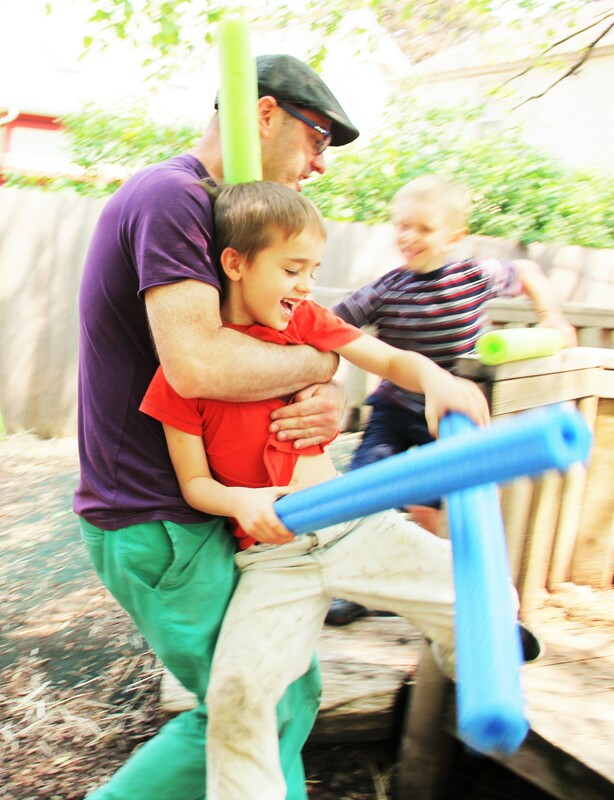 The more I teach, the more I have come to believe that children move from parallel play to collaborative play first through physical play, literally having their bodies interact with others. It doesn’t necessarily need to be rough and tumble play. It could be dancing although I find it hard to tell the difference with preschoolers. 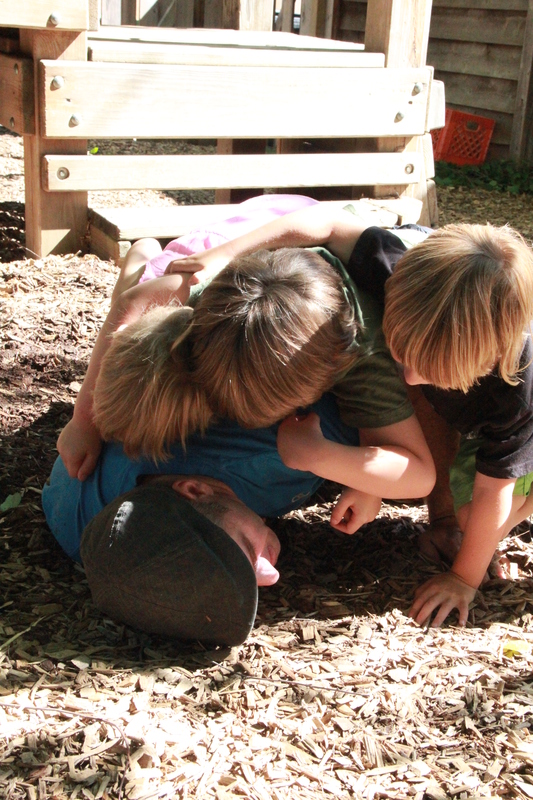 I embrace rough and tumble play because I think it brings out the best in children. I went to see Gill Connell last night speaking on how movement teaches the brain to think. Most of the talk was based on her book A Moving Child Is a Learning Child. I can’t recommend the book enough. Connell lays out child development in a way that is fairly easy to follow. Children are born with reflexes. When a child moves, these reflexes are relaxed and conscious movement takes over. 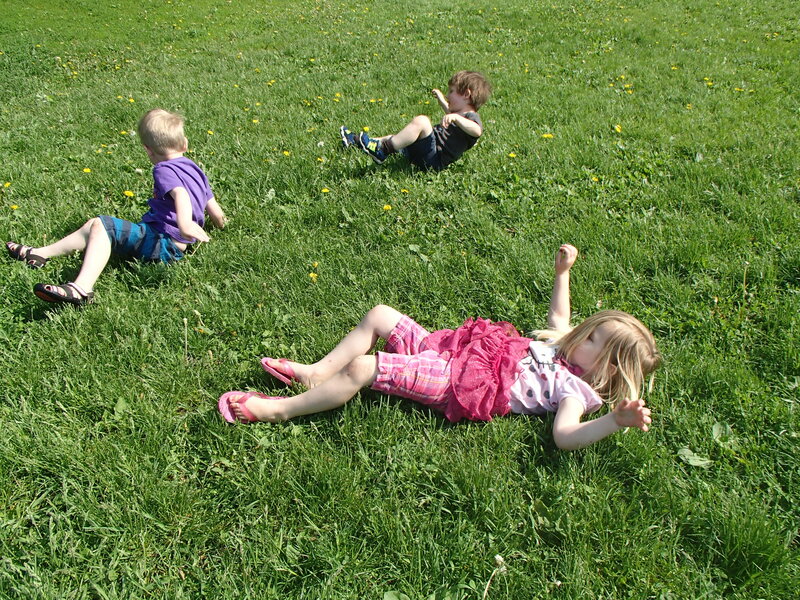 For this to happen, movement skills start as processes that the child must think about. The child repeats these skills until finally they become automatic. Only after these movements are automatic can the brain focus on higher level thinking. In other words, one of the main things the brain focuses on as it begins to develop is movement. I would add the other major thing the brain focuses on is communication. Of course communication at this stage requires movement and (a lot of) crying. learn. Sitting does not necessarily lead to learning for any age. Sitting does however lead to health risks. It’s ironic that as we learn more about how movement relates to brain development and learning, we are having young children sit for longer and longer periods of time. development, and specifically reading and writing. Afterwards I was thinking about how movement relates to communication in general. Children often play games that involve movement with a few people: games such as chase, climbing together, digging and playing in sand or mud, and, of course rough-and-tumble play. All of these games require speaking and listening skills, but also the reading of non-verbal cues. Children also have to trust each other to play with each other, especially games that could involve physical risk if the other child doesn’t respect their limits. When children take the risk to trust others, they also build trust, and ultimately friendships. And friendships create a need to communicate. Some of that communication will be face-to-face, but it will also involve writing (notes, texts, emails, and social media posts). Movement build the skills to physically read and write (eye tracking, anchored body, tripod grasp of the pencil, dexterous thumbs for texting, and most importantly automatic movements so the brain can focus on higher level thinking). Movement also creates the bonds of friendship that builds the desire to read and write. Connell describes this as a cycle: The more a child moves, the more the child knows: The more a child knows, the more the child wants to know: The more a child wants to know, the more the child wants to move. I would just add a concentric cycle: The more a child moves the more the child communicates: The more a child communicates, the more the child wants to communicate: The more a child wants to communicate, the more a child moves. Rae Pica focuses on parents’ fears of anything negative happening to their children. I’d like to think about parents’ hopes for their children. We want children to be resilient. Resilience requires taking risks. We want children to be joyful. Nothing beats the joy of successfully taking a risk. Risk is a part of being alive and children need to know how to deal with risk. But it’s not risk alone. Resilience comes both from risk and persistence. You have to try and you have to fail. The risk might be physical. It might be emotional. We know that children will get hurt. We know they will cry. Our job isn’t to keep them from falling. It’s to help them up and hug them when they do fall. Let’s be clear that risk is different than hazard. Risk is something that a child can see and assess such as climbing high. Each time a child reaches higher, she can look down and decide if she has reached her limit. Once she has reached her limit, she can climb down. Next time, she will probably go a little higher, but she will be the one to decide. A hazard is something a child cannot see or assess. For example, if there is a slide on a playground, the child will assume she can go down it. She will not notice if the slide has a gap that could catch the drawstring from her sweatshirt and asphyxiate her. Adults need to minimize hazards as much as possible and minimize risk as much as necessary. While our first impulse as adults may be to protect children, we need to look at the big picture. Children are ultimately safer when they learn to assess risk themselves. For example, open bodies of water pose a risk for drowning. We could make sure children don’t have access to water, and as long as they are in our watch, they would not risk drowning. But the day they find themselves by a lake or river without us, are they safer? It is much better to first expose them to shallow bodies of water where they can have fun and then teach them how to swim as they get older. The same is true for other risks. It is better to climb a tree and get a few scrapes than it is to not climb at all. Children need to challenge themselves when they take risks. 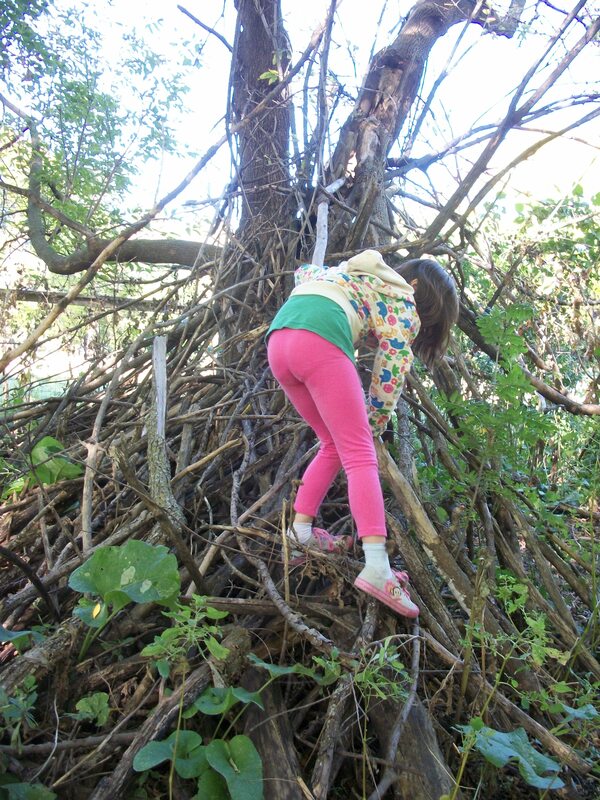 It is important to let children climb on their own so they can assess the risk they are ready for. 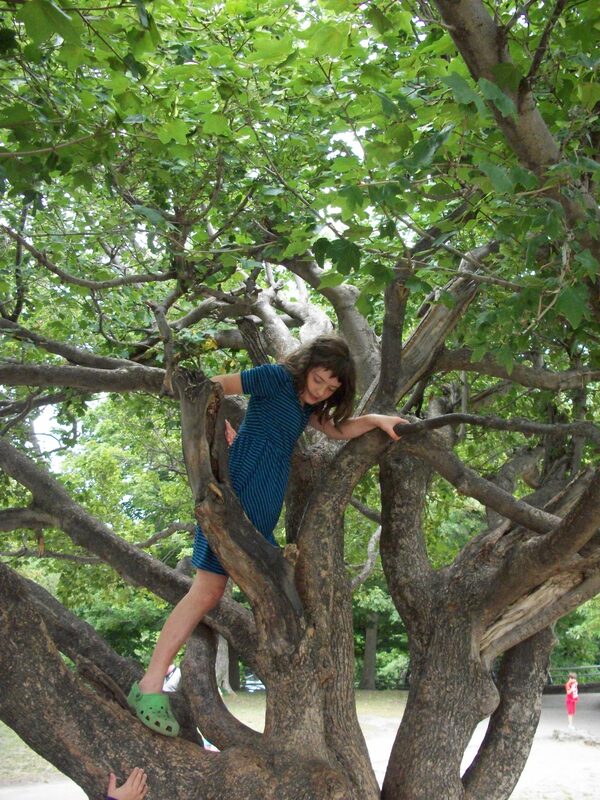 If an adult puts a child up in a tree, the child has no control over the situation. Children also need to use their body to back out of a situation they decide is too much for them. 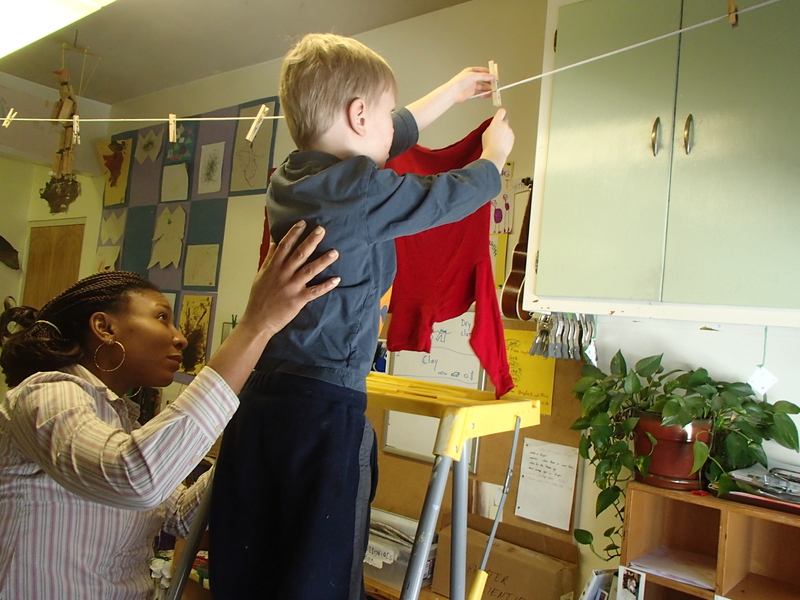 If a child climbs and gets stuck, the adult should verbally help them down. Reassure the child that you are nearby and talk through the steps the child can take to get down. Only help them physically if falling is imminent. 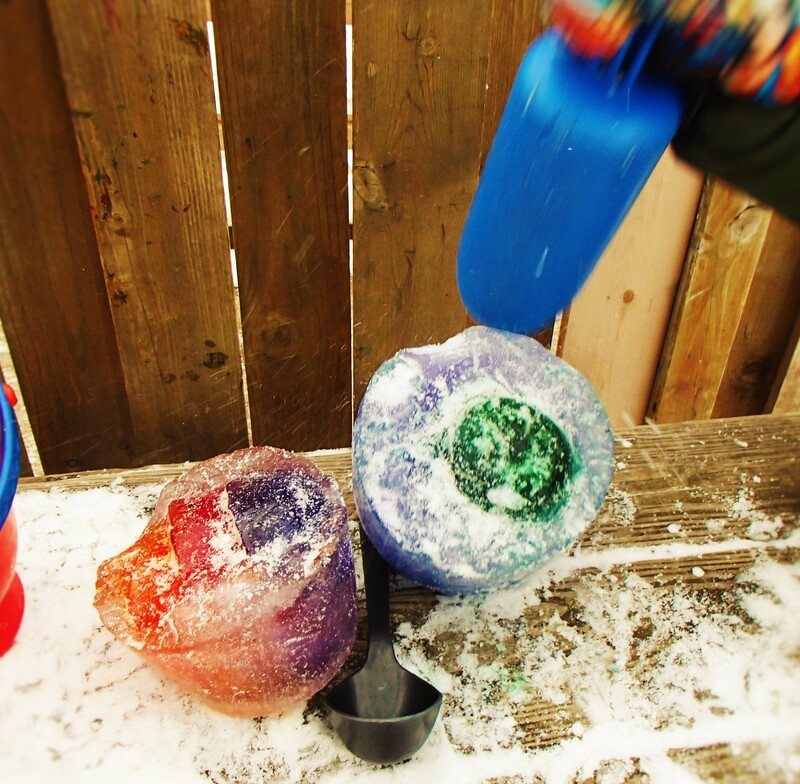 As a teacher, you can help children learn to assess risk as they play. If a child does something that seems risky, don’t stop them right away. Instead move closer and see if the risk is reasonable. If you are not sure you can ask the child for their assessment (“What’s your plan?” “Are there any sharp corners you need to worry about?”). You can also do a risk-benefit analysis. Decide what the risks are as well as the benefits. If the risk is reasonable and there are benefits, just stay nearby and watch for changes in the situation. If the risk seems too great decide if there are any changes that would make it safer while still allowing the child to get their needs met. If a tree branch seems weak, is there another branch (or another tree) that is safer? 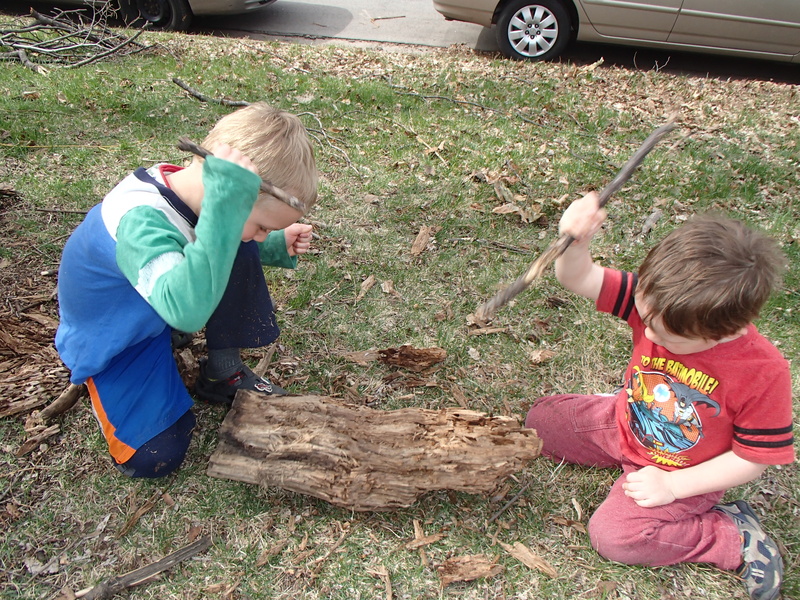 It is important to keep in mind that playing, even risky play is relatively safe. There was a study in the UK that found that the sport of badminton results in twice as many injuries than playing on playgrounds. Most other sports resulted in even more injuries. There are benefits to engaging in sports, of course, so the benefits outweigh the risk, so why not playgrounds? And tree climbing didn’t even make it on the chart. One of the most dangerous things for a child to do is ride in a car, but we have agreed as a society that it is worth the risk. Children do end up in the emergency room for falls 20 times the number for non-fatal car accidents. However, it is extremely rare for a child to die from a fall. 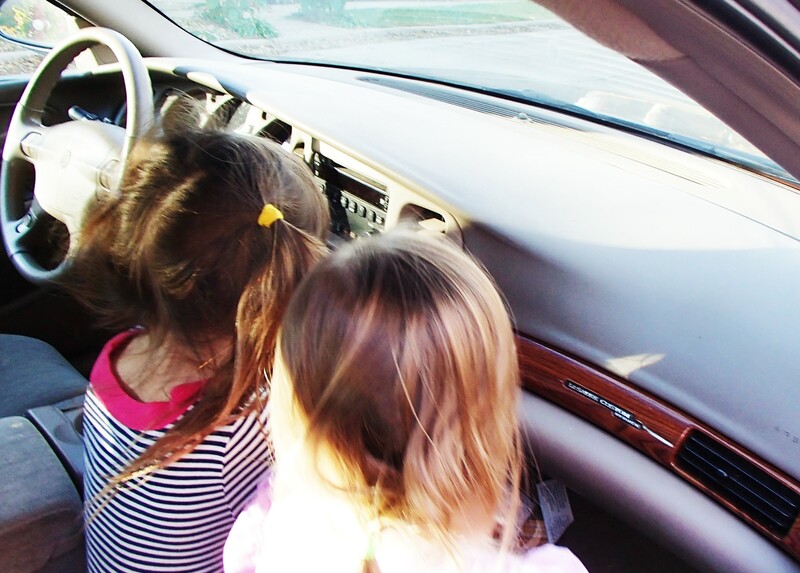 Children under the age of 5 are more than 10 times more likely to die in a car accident than from a fall. Children 5-9 are more than 80 times as likely. In other words, children may get hurt, but almost all will be minor injuries. 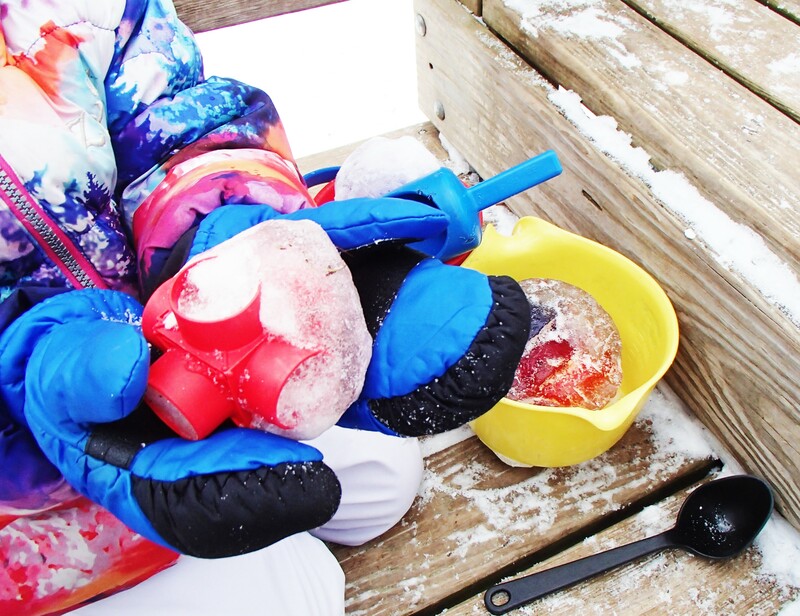 Meanwhile, children learn how to deal with risk and ultimately stay safer. Getting out of bed exposes you to countless risks. But if you stay in bed, you risk letting life pass you by. Just watch how children run to greet the day, ready for anything. It may be risky, but it is joyful. Maybe instead of trying to make the children more like us, we need to be more like them. This summer, I took a break from writing this blog while I finished the first draft of my book, Teaching with the Body in Mind. The book covers a lot of the same topics as the blog. I now will get back to posting weekly. While I was working on the book, I read several studies. One thing that really struck me was how small the sample sizes were for each study. One of my favorite researchers is Michelle Tannock who does a lot of work on rough-and-tumble play and attitudes about it. One study of Tannock’s that I often cite found that close to 80% of incidents of rough-and-tumble play was done by boys in this particular setting. Reading the study again, it really struck me that she studied a class with 17 students. When I think of my classroom, and how much it varies from year-to-year, I can’t help thinking how different the results would be. Last year there was a lot more rough-and-tumble play than this year. Last year, the girls were responsible for much of that play. My gut feeling is that the boys still did the majority of the play, but it really can vary. 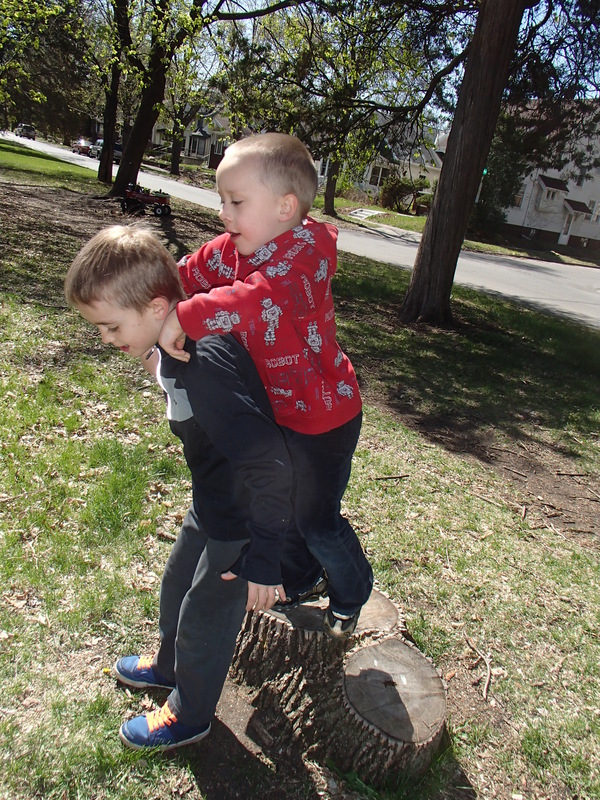 Most studies on rough-and-tumble play find that the boys engage in more of the play, and a few boys are responsible for most of the play and particularly the more forceful play such as pushing, tackling, etc. The problem is that many in the Early Childhood Education field (sometimes even the researchers themselves) talk about what boys tend to do and what girls tend to do. 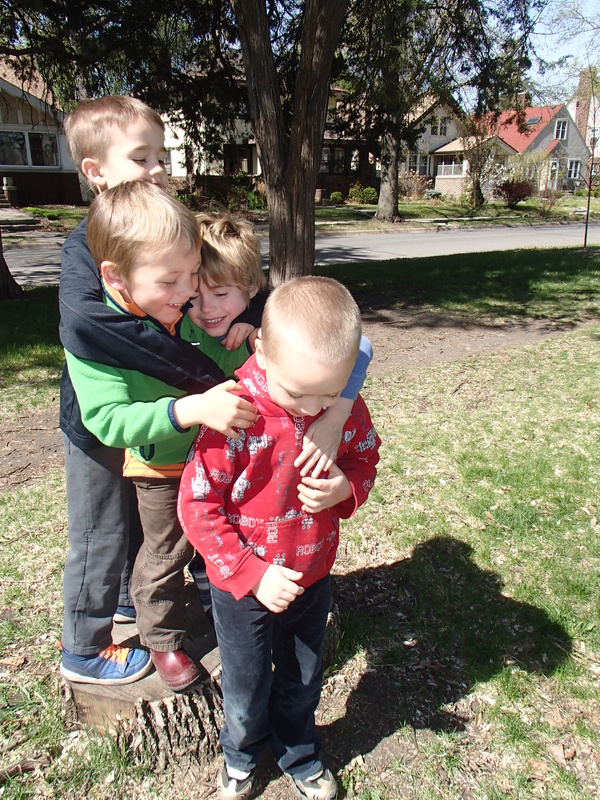 When referring to boys, the conversation often slips into the few, most physical boys. In most research, the most physical boys are outliers on one side along with a few boys who engage in very little rough-and-tumble play. After all, I could describe how boys behave by talking about Stan. He spends most of his time outside playing a marimba or drumming on buckets. He will spend a few minutes “fighting” the teacher with a pool noodle. He does not attack other children, just the teacher. Inside he will play on the mat, but rather than pushing and grabbing others, he usually plays “pile on.” One child goes on the bottom and three or four others pile on top. They just lie there on top of each other until then bottom person asks everyone to get up. Stan describes the way boys play about as accurately as well as using Greg as the model. Greg likes to tackle others (who he is playing with). In the classroom, he often runs and dives onto the floor. He is almost always playing physically and he can rarely sit still. The truth is, most boys aren’t like Stan or Greg. They are somewhere in between. So are most of the girls in my room. Statistically, the boys in my room probably play rougher. Statistics can be helpful. As I’ve written in the past, knowing the statistics of the expulsion rates of boys vs. girls points to a need for systemic change in early childhood education. Especially when you consider boys tend to play rougher. However, in the classroom, the statistics don’t mean much. When I watch Bart playing in my classroom, it doesn’t matter if he’s more likely play rough. I won’t learn about Bart by looking up statistics. I need to watch him. I don’t teach children. I don’t teach boys and girls. I teach Bart, Francine, Greg, Tina, Stan, and all the others who have names and personalities. I need to figure out how to be effective with each child and it will be different for each child. I don’t call a birch tree a pine just because it is growing in a pine forest. 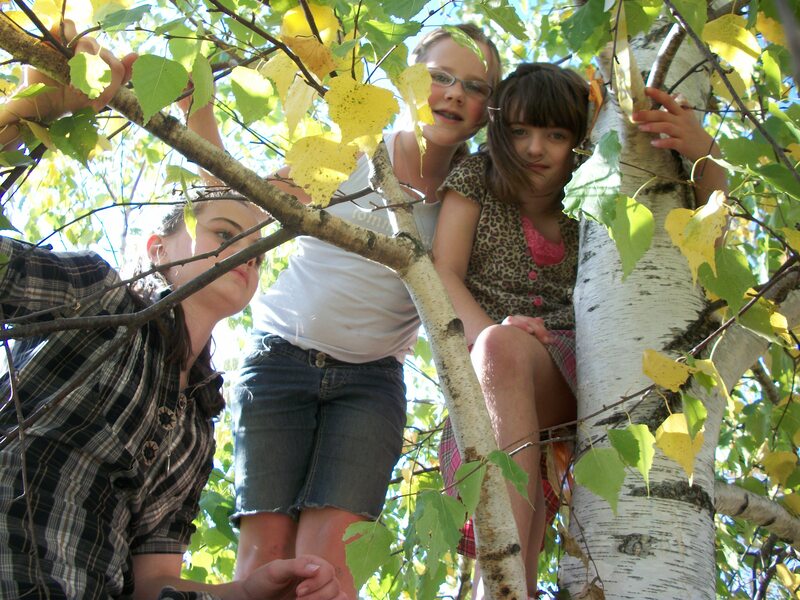 Teachers have to see each tree. Researchers look at the forest. We sometimes forget that the risk of getting hurt isn’t an excuse to not try something. 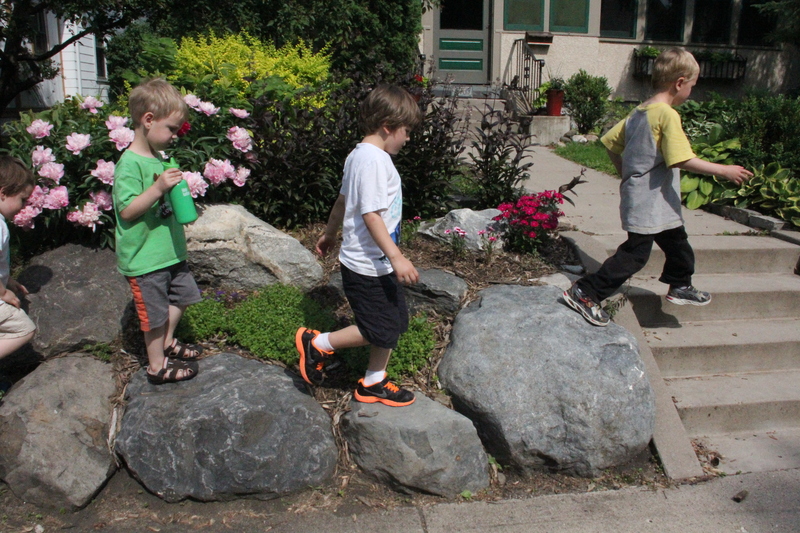 I recently visited Dodge Nature Preschool in West St. Paul ( http://www.dodgenaturecenter.org/ ). It’s a beautiful setting, embedded in a nature center with more than 400 acres of woods, hills, marshland and a small farm. But that’s not what brought me here. I was here to photograph kids and adults embracing risk. And I was not disappointed. I saw children balancing on a slackline (with a second rope to hold onto). I saw children climb a steep hill, some using a rope and some merely stepping carefully. Some even ran down the hill at the end. There was a giant log that a few children straddled and slowly made their way across, others crawled and a few walked across, arms out to keep their balance. There were smiles and laughter. These kids had so much confidence. But couldn’t these children hurt themselves? Well, the short answer is yes. That’s what makes it so thrilling. But the teachers don’t have a disregard for safety, far from it. 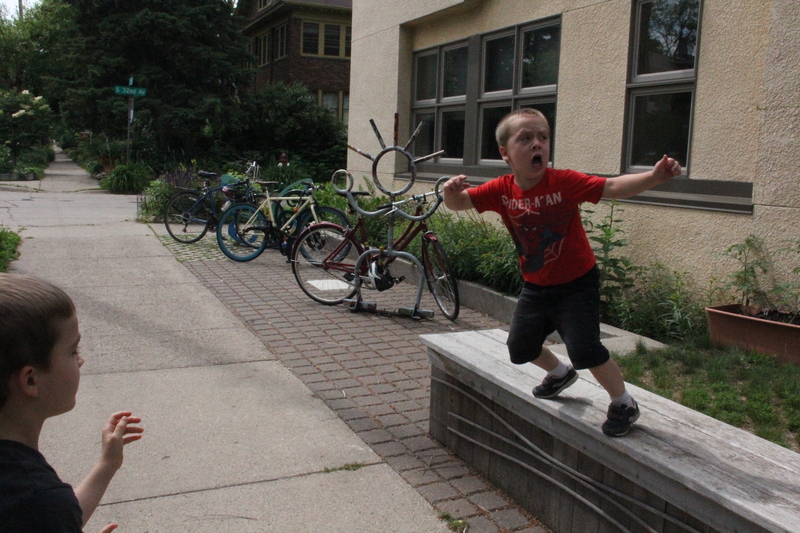 The teachers, Kristenza Nelson and David Longsdorf, are constantly assessing the risks the children encounter. What makes these teachers different is they also assess the benefits. 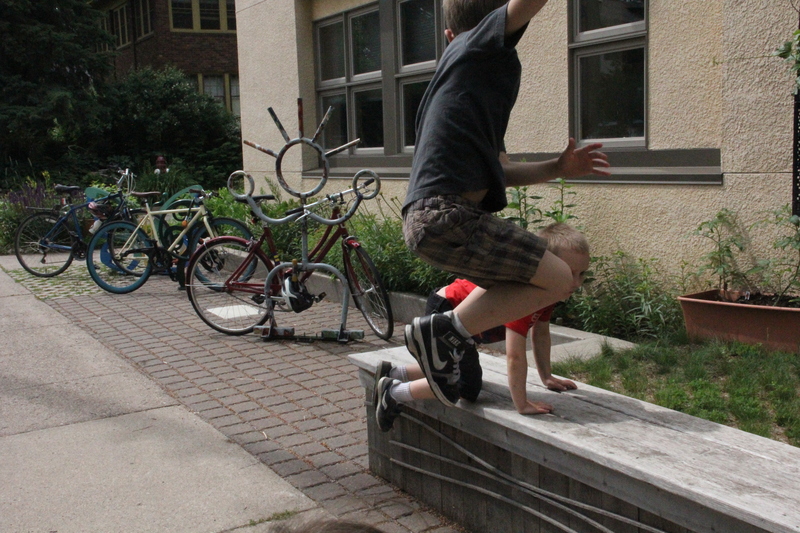 For example the slackline was about one foot off the ground. At the beginning of the year, Kristenza and David have one child go on at a time and a teacher stays close and verbally encourages the child. As the children get comfortable, the teachers allow the children to go on together. Some children may choose to wait until they are the only ones on, but most find it both physically challenging and a great way to bond with friends. The teachers know that a child may fall and scrape a knee or elbow. They have band-aids if that happens. But the benefits far outweigh this risk. 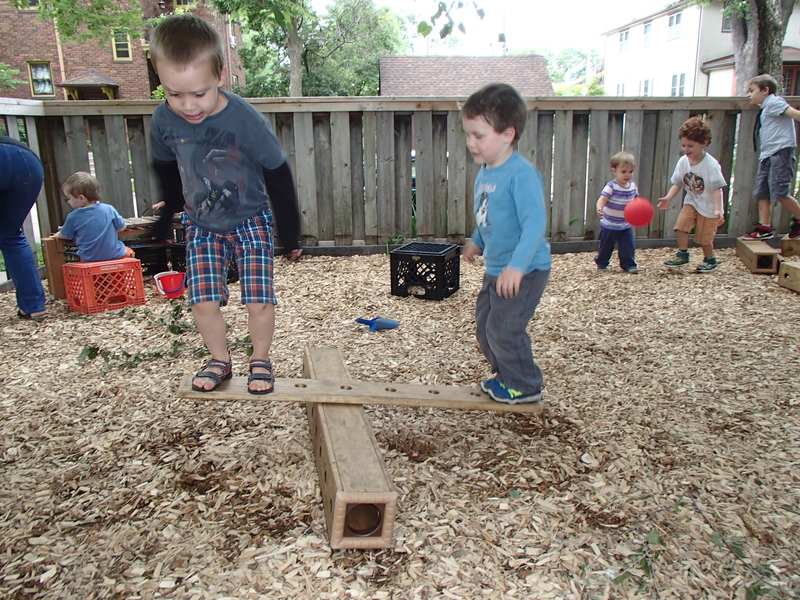 The children develop a sense of balance, build closer friendships, persist in a task that seems difficult at first, and gain self-confidence. Oh, and they have fun. When the children were crossing the log, Kristenza was next to the log, helping children when they needed it. She first helped verbally, but was ready to physically assist if a child needed an extra hand to balance. Then Kristenza noticed there were wasps on one part of the log. This was a risk that had very little benefit, and she quickly suggested they move on to Challenge Hill. 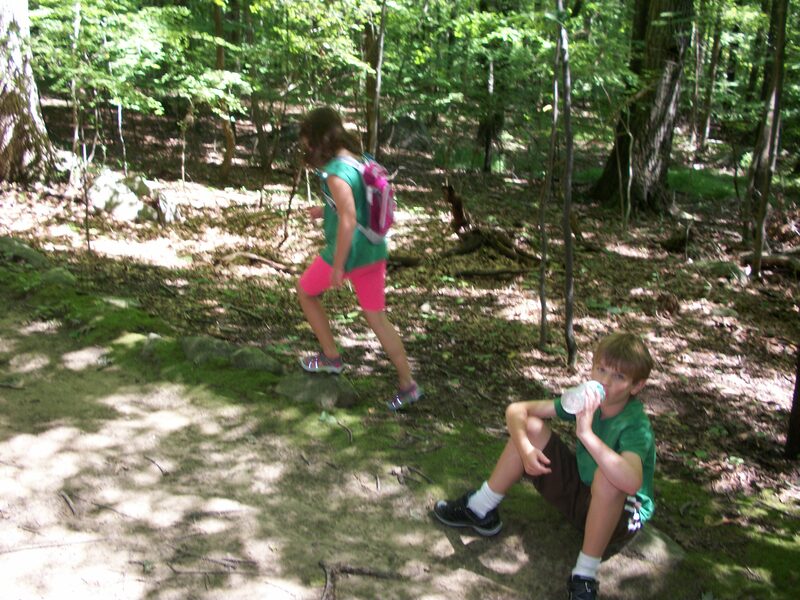 On Challenge Hill, each child assessed the slope of the hill and the particular consistency of the dirt. There had been a lot of rain so there were grooves where some dirt washed away, but it was fairly solid. A few kids start right up without holding on to the rope. Others grab the rope and rely mostly on their arm strength. One child hangs back and David talks to her to help her assess how she might try to climb. Eventually everyone makes it up. A few go up and down several times. One child tries letting go of the rope to walk down. She falls and scrapes her knee. David asks if she needs help. She walks over and shows him her knee. They talk quietly and he puts a band-aid on her knee. She has a drink of water and she goes right back to climbing. Kristenza and David were constantly assessing risks and benefits throughout the afternoon. They were supporting the children, encouraging them verbally, and helping them physically. They showed as much care and concern for these children as any teachers I have seen. But they also showed trust in the children. And the children rose to the challenge.